Thanksgiving in America is often about food, family and friends--with extra helpings of gratitude. Here's a trio of 2015 picture books that touch on the spirit of the holiday in three very different ways. 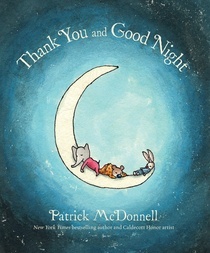 Thank You and Good Night (Little, Brown) by Caldecott Honor artist Patrick McDonnell (Me... Jane) is about a surprise pajama party for an adorable rabbit named Clement, who with his animal friends do a chicken dance and have a funny-face contest until the night winds down and the kindly human, Maggie, suggests: "Now, before we go to sleep, let's all say what we were thankful for this day." The long, long list--from a moon to a red balloon--is a soothing bedtime rhyme that ends with a good-night kiss. "Mama, fetch the cooking pot./ Fetch our turkey-cooking pot./ Big and old and black and squat./ Mama, fetch the pot." So begins Pat Zietlow Miller's Sharing the Bread: An Old-Fashioned Thanksgiving Story (Schwartz & Wade/Random House). Everyone pitches in to cook a delicious Thanksgiving dinner in this simple, rhythmic story set in a bustling 19th-century American household. 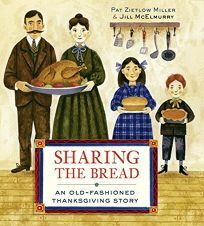 Jill McElmurry's wonderful illustrations, as golden as freshly baked bread, shine a warm light on this nostalgic celebration of food and family, tradition and teamwork. Indianapolis Colts quarterback Andrew Luck "is the NFL's unofficial librarian as he constantly recommends books to his teammates," the Wall Street Journal reported. "How many of these literary landmarks have you been to?" 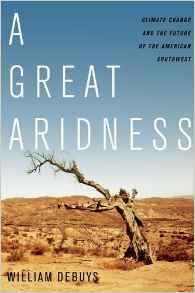 asked Good magazine, challenging readers to "put your jetsetting tendencies to the test." Buzzfeed toured "17 beautiful rooms for the book-loving soul." "The 10 best quotes in a crisis" were featured by the Guardian. Or have you? Paste suggested the "14 best books about food that you (probably) haven't read." Canadian music legend and "proud bibliophile" Buffy Sainte-Marie shared "eight books that I love" with the CBC. In the summer of 1978, President Jimmy Carter proclaimed a University Press Week "in recognition of the impact, both here and abroad, of American university presses on culture and scholarship." This occasion has a new life under the auspices of the Association of American University Presses--the AAUP, with more than 130 member presses--which brought the Week back in 2012, and has observed it ever since. University presses serve their parent institutions, support research and cultivate particular editorial traditions marked by dedicated publishing programs and quixotic long-range projects, punctuated by recurring lecture series and prizes, amplified by collaborations and partnerships. 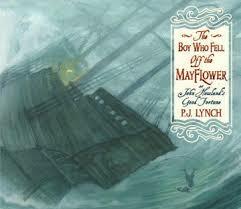 Their character is multifaceted, their history a lineage of books. It's worth drilling down in their catalogues, reading through finely parsed and varied categories such as migration, consumption, bio-politics, gender studies, cognitive philosophy, intelligent systems or digital humanities. In sympathetic correspondence, bookstores create unique architectures of information. The curated sections at City Lights, the fine-tuned subheadings at Chaucer's, the scholarly cairns at Literary Guillotine consolidate a depth, intensity and specificity highlighted by university press books. Robert D. Richardson's heroic biography of Emerson (University of California) carries the subtitle "The Mind on Fire," source of University Press Books' signature phrase: "Ten Thousand Minds on Fire." Needless to say, I notice the conflagrations. 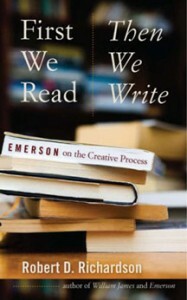 Motivated by Green Apple Books' galvanizing shelf-tag, I bought Richardson's First We Read, Then We Write (and discovered Muse Books, the Iowa Series in Creativity and Writing). Elliott Bay Book Company irresistibly displayed Julian Hoffman's The Small Heart of Things, leading me to the University of Georgia Press's publishing program in creative nonfiction. Peter Miller Books champions Elaine Scarry's exquisite On Beauty and Being Just (Princeton University Press). The Tears of Things by Peter Schwenger (University of Minnesota Press) cried out at the Hammer Museum. Jean-Pierre Dupuy's handsomely published essay A Short Treatise on the Metaphysics of Tsunamis (Michigan State University Press) glowed at the MIT Press Bookstore. Nor did I resist James Wood's The Nearest Thing to Life (Brandeis University Press), displayed at Chevalier's Books. Just browsing Duke University Press's lists, I am struck by two very different titles: Lauren Berlant's Cruel Optimism (that cover!) and Remnants: A Memoir of Spirit, Activism, and Mothering by Rosemarie Freeney Harding and Rachel Harding. On Stanford's site, Bahiyyih Nakhjavani's The Woman Who Read Too Much (under the Redwood Press imprint) beckons. Rereading Joy Harjo's In Mad Love and War in the Wesleyan Poetry Series, I appreciate university press support for poetry: the Pitt Poetry Series; the Miller Williams Poetry Series at University of Arkansas; the Princeton Series of Contemporary Poets; the Yale Younger Poet Series. New biographies brilliantly pair writer with subject in Writers on Writers at Princeton (Colm Tóibín, On Elizabeth Bishop); Jewish Lives at Yale (Francine Prose, Peggy Guggenheim). University presses commission translations, offering new access to literatures. Columbia University Press has announced a new program in Russian translation. NYU, Georgetown, Cambridge, Syracuse publish in Arabic and Middle Eastern literature. Yale's Margellos World Republic of Letters translates canonical and contemporary works. Harvard launched the Murty Classical Library of India. Seagull Books partners with University of Chicago; Semiotext(e) with MIT; Open Letter is uniquely associated with the University of Rochester. Translation permeates much scholarly publishing, broadens global understanding and introduces scholarship across borders. Take a look at Translations from Chicago. Embedded in their state and region, university presses publish distinctively in natural history, geography, history, memoir, literature, local architecture, field guides, roadways, foodways--all enriching our sense of place. A bookman's holiday in Alaska finds books from University Presses of Washington, Alaska, Toronto. Homer Bookstore offers Bear Down, Bear North by Melinda Moustakis, a winner of the Flannery O'Connor Award for Short Fiction published through University of Georgia Press. 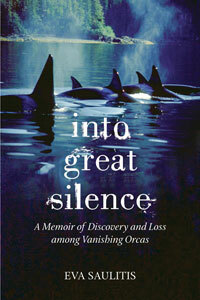 At Sing Alley Books in Petersburg is Eva Saulitis's heartbreaking Into Great Silence from Beacon Press, a nonprofit AAUP member. University presses publish in every corner of America. University of North Carolina Press offers "essential Southern reading." University of Illinois celebrates Chicago; Wayne State University Press cheers Detroit. Emily Dickinson is at home at Harvard University Press, Thomas Jefferson at University of Virginia, Custer and Willa Cather at University of Nebraska. Always reading about the West, I discover Michael Ventura's If I Was a Highway (Texas Tech) at Chaucer's; Richard Manning's Rewilding the West (University of California) at Green Arcade; William deBuys's A Great Aridness (Oxford) at Collected Works. Jack Turner's The Abstract Wild (University of Arizona); Keith Basso's Wisdom Sits in Places (University of New Mexico); Reg Saner's Reaching Keet Seel (University of Utah); Richard Slotkin's Regeneration Through Violence: The Mythology of the American Frontier, 1600-1860 (University of Oklahoma)--a mere few to read again. Enduring, necessary, radiant: Henry Bugbee's The Inward Morning, reissued by University of Georgia Press; Francois Jullien's In Praise of Blandness (Zone Books at MIT); Robert Pogue Harrison's Forests (Chicago). Personal reading finds hidden gems: Gordon Campbell's The Hermit in the Garden (Oxford), Ilana Blumberg's Houses of Study (Nebraska), Jane T. Costow's Heart-Pine Russia (Cornell), Jeremy Mynot's Birdscapes (Princeton)--all enchant. I won't even get started on food history--although I cherish the illustration of a jar in which to keep dormice in A Taste of Ancient Rome (Chicago). 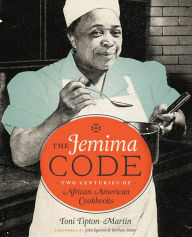 I anticipate reading culinary historian Toni Tipton-Martin's The Jemima Code: Two Centuries of African American Cookbooks (University of Texas); must read Anna Lowenhaupt Tsing's The Mushroom at the End of the World (Princeton). Patricia Nelson started out at the campus bookstore for the Claremont Colleges, and was buyer and manager at UNM Bookstore, Living Batch and Page One in Albuquerque. A longtime university press rep for Yale, MIT and Harvard, she lives in Santa Fe. This pearl of a novel proves that strong characters, careful prose and refreshing wonder at the world can come in a small package. Kid Moses is Mark Thornton's powerful first novel, set equally in the streets of Tanzania's port city Dar es Salaam and in its vast bush wilderness. Thornton, who holds prominent positions with UNESCO and African conservation organizations, has also led safaris throughout Tanzania for two decades. His knowledge of Tanzania's resources underlies his narrative, but Kid Moses is primarily the story of the orphan boy Moses as he traverses his pre-teen years scrounging a homeless existence in and around Dar es Salaam. Even more than he knows the country, Thornton has a keen understanding of the mind of a young boy with nothing but curiosity and a fatalistic sense of survival--for Moses, "when something happened, it happened, and when opportunity came up, he took it." Such behavior puts him in frequent danger, but for each mess Moses lands in, some sympathetic savior appears to lift him up--whether a disabled fruit vendor, a child prostitute, an orphanage schoolmaster, a nomadic Ndorobo couple or a professional game hunter who finds him lost in the bush. Relief for Moses, however, is only temporary. Thornton knows that there is no easy cure for the plight of a homeless Tanzanian orphan, and time brings its daily struggles: "The sun came up as it had gone down. Birds sang, but not much, and the day came about reluctantly and without brilliance." Kid Moses is a compact jewel box of a first novel. --Bruce Jacobs, founding partner, Watermark Books & Cafe, Wichita, Kan. Discover: A tightly wrapped, lyrical, captivating first novel about the perilous and adventurous life of a homeless Tanzanian orphan. Mark Dunn (Ella Minnow Pea) delivers another high-concept, wildly inventive novel that tells a timeless story. We Five traces the tragic consequences of five sheltered young women responding to the amorous overtures of five young men with less than honorable intent. The novel combines five versions of this basic story, moving around from Manchester, England, in 1859, to San Francisco, Calif., just before the earthquake of 1906; Sinclair Lewis's fictional town of Zenith, Winnemac, in 1923; London in 1940, during the Blitz; and small-town northern Mississippi in 1997. Jane, Maggie, Carrie, Ruth and Molly are the five women who populate each story. "Sisters of the heart," they gradually become aware of their would-be suitors' deceit and begin to resist. Their efforts are abetted and sometimes complicated by their web of relationships with their families and each other, through a series of increasingly disastrous events. All five versions collide in one apocalyptic climax, which gives way to a startling and triumphant conclusion. Discover: Five narratives tell a single story about women struggling against the deceits of the young men pursuing them--an entertaining and clever read that upends expectations of gender relationships. Some longtime Elizabeth George readers have been disappointed by a few of her recent books, ever since the shocking events of With No One as Witness. Although it is the 19th Inspector Lynley novel, A Banquet of Consequences harks back to earlier installments in the series and could serve as an excellent introduction to Thomas Lynley and Barbara Havers's entertainingly odd teamwork for new readers. It is a superb psychological thriller, in which Inspector Lynley's suave, aristocratic style melds perfectly with Sergeant Havers's brusque working-class tactics. The story opens "Thirty-Nine Months Before" with the complicated Goldacre family: mother Caroline, who works for famed feminist Clare Abbott; younger son Will, plagued by a Tourette syndrome-like condition; and elder son Charlie, a psychoanalyst estranged from his wife. Barbara Havers (who is in disgrace at Scotland Yard after the events of Just One Evil Act) coincidentally meets Caroline and Clare; Inspector Lynley attempts to lobby on Barbara's behalf with the Superintendent; and the Goldacre family faces a series of difficult events. Then, finally, someone dies, and Havers and Lynley are drawn into the investigation. Discover: Aristocratic Inspector Lynley and working-class Sergeant Havers undertake a dark and twisty investigation of a murder that involves the Goldacre family. In a whimsical debut memoir, author Tom Michell recounts his rescue of a Magellanic penguin in South America. In 1975, then-20-something Michell saw his job teaching English at an Argentine boarding school as an inexpensive way to indulge his thirst for travel. On a weekend in Uruguay, his wanderings brought him to an oil-soaked beach piled with dead penguins--and a lone survivor. In a knee-jerk reaction of compassion, Michell took the protesting bird back to his friends' flat, received a severe bite for his trouble, and washed away its oily sheen in a bidet. He immediately attempted to release the bird back into the wild, but the penguin refused, following him away from the beach. Afraid he had somehow damaged the waterproofing of its feathers, Michell kept the penguin, smuggled it into Argentina, and found unexpected companionship. The very social Juan Salvado became a confidante, mascot and swimming buddy who moved everyone he met. Discover: An Englishman in Argentina shares his adventures with the penguin he rescued from a tragic oil spill. French novelist Marcel Proust believed that a writer's genius was in the ability to distill life into a single, simple story. In his biography Proust: The Search, Benjamin Taylor observes that Proust's genius was not in the way he distilled life, but in how he was able to re-create every bit of minutiae. It has long been known that Proust's seven-volume masterpiece, In Search of Lost Time, is largely autobiographical. In it, a nameless narrator, referred to only once as "Darling Marcel" in the fifth volume, recounts his entire life. Proust treats each passing moment, no matter how mundane or fabulous, with equal emotional weight, recounting details with poetic flourish, and rooting events in both French history and his own life. In Proust: The Search, Taylor expertly deconstructs where the similarities between Proust's fictional self and real-life self begin and end. By combing through both In Search of Lost Time and Proust's personal history, Taylor discovers which events in Proust's own life were most important to the young genius's creative development. Taylor outlines how French anti-Semitism during the Dreyfus affair affected the writer's Jewish identity and how Proust treated his semi-open homosexuality on the page. Of a particular passage from In Search of Lost Time that was inspired by Proust's real love affair, Taylor writes that, "in the first blush of love for Reynaldo, Marcel did manage a premonitory truthfulness in which his mature understanding, if not the mature force of his style, may be glimpsed." Discover: This biography is a careful examination of what influenced one of Western literature's most notable masters, Marcel Proust. Readers from Generation X may remember Kevin Powell as an original cast member on The Real World, MTV's foray into reality television that paved the way for thousands of imitators in the following decades. But while that may be Powell's greatest claim to fame, it gets little attention in his autobiography, The Education of Kevin Powell. Instead, Powell focuses on his lower-class upbringing in New Jersey and his time as an activist at college and beyond. The Education of Kevin Powell is anything but a "pulled up by one's bootstraps" narrative. Powell repeatedly underscores the support, and pressure, from his single mother as he made his way through school and into higher education. The book makes no apologies for exploring Powell's experience as a black man trying to navigate the still-racist education system, or his attempts to define himself in the face of absent or corrupt father figures. It is clear Powell wants his work to sit beside great African American books like Native Son or I Know Why the Caged Bird Sings. It is not only an explanation of Powell's upbringing, but also an attempt at having a dialogue with anyone who does not understand the full weight of America's race problems. That attempt sometimes leads to problems of tone, especially when he discusses his past violence towards women with less self-awareness than one might expect. But these moments, flawed as they are, come from a place of self-reflection and an attempt always to be better. --Noah Cruickshank, marketing manager, Open Books, Chicago, Ill. Discover: A heartfelt memoir of an African American activist and speaker. In a series of thoughtful, poignant personal essays that belie the somewhat humorous title and cover of this fine collection, Joey Franklin, assistant professor of English at Brigham Young University, muses on life as a modern man. The eponymous essay closes this slim volume with Franklin's consideration of the nature of love. He brings together a preacher's saccharine hyperbole about married bliss, his own love-at-first-sight relationship with his wife, and Shakespearean sonnets to illuminate the complexity and difficulty of romantic connections with other flawed human beings, meanwhile pointing out the inherent illogic of trying to tell any kind of "true" story. After a lightly humorous essay on his journey to become a dancer as a young man--in which he discovers that perhaps he isn't destined to become the next Fred Astaire--Franklin drops in a personal piece about his own childhood. Using the remembrance of touch and his father's year in prison as focal points, he delivers a poetic, meditative treatise on the tenuous nature of memory, the fragility of relationship between parent and child, and how our own recollection of events can change over time as we gain new experiences. Discover: These thoughtful, emotional and touching personal essays explore universal themes of the human experience. Journalist, science scholar, bank executive, author (Genome, The Rational Optimist), Matt Ridley is also a British 5th Viscount and member of the House of Lords. These accolades matter little, according to the premise of his engaging new book, The Evolution of Everything. Debunking the whole infrastructure of "intelligent design," Ridley posits that "everything" important to our lives exists as a result of bottom-up evolutionary adaptation. His historic antecedents include the usual suspects, Darwin and Adam Smith, but also the work of Lucretius--excerpts from which introduce each chapter. Ridley piles up examples of how his theory applies to the nuts and bolts of culture, economics, money, government, religion, the Internet--even the universe itself. His target is the "one huge mistake we all make, one blind spot... assuming the world is much more of a planned place than it is." Whether he is describing the origins of common law ("a code of ethics that was written by nobody and everybody") or the evolution of a tree ("the whole structure can stand for hundreds or even thousands of years.... All this is achieved without a plan, let alone a planner"), Ridley quotes supporting authorities as complex as Richard Dawkins or as renegade as Julian Assange. His is a Wikipedia-like world where constant interactions and adjustments create things as they are and will become. Like a Malcolm Gladwell of philosophy, Ridley makes counterintuitive leaps that both entertain and enlighten. Readers may not walk away from The Evolution of Everything married to libertarianism or agnosticism, but they will at least have flirted with them a bit. --Bruce Jacobs, founding partner, Watermark Books & Cafe, Wichita, Kan. Discover: Journalist and science writer Matt Ridley argues that the concept of evolution applies not just to life, but to our social and cultural advancements also. Redniss's "Note on the Art" describes her media: copper plate photogravure etchings and photopolymer process prints, hand-colored, and a few drawings in oil pastel. She comments on the artistic tradition that inspired her: artist/scientists whose devotion to precision and accuracy have historically paired with "a sensation of strangeness, wonder, terror." Her work is certainly worthy of that tradition; drawings of wildfires recall Picasso's Guernica, and the chapter entitled "Sky" contains only striking illustrations and no text. These drawings are both otherworldly and very much of our world. Discover: Superb illustrations accompany fascinating tidbits about weather and the world in this lovely, distinctive book. Using the divisions established by William Strauss and Neil Howe in their theory of a recurring generational cycle in American history, as well as exhaustive research on vocabulary, Allan Metcalf (OK: The Improbable Story of America's Greatest Word) offers what he believes are each era's defining words in the American lexicon. From Skedaddle to Selfie ushers readers from 1742 to the present, correlating terms to the populations' characteristics, citing usage examples and etymology in support of the choices. Metcalf acknowledges that his collection isn't exhaustive, but he does a thorough job of representing the cultural distinctiveness of each generation. Through his analysis, readers can see influences such as music, politics, fashion and technology on the people of the United States. The words chosen for each generation are not necessarily the first time they've been used; rather, they're chosen because they're at the height of their use, such as self-esteem assigned to the Baby Boomers (1943-1960), or they attain their modern definition in that era, like boyfriend and girlfriend did in the G.I. Generation (1901-1924). And sometimes the words connect generations--for example the shortened language associated with texting isn't new to the Millennial Generation (1982-2004), but can be seen all the way back in the Transcendental Generation (1792-1821) with the manifestation of O.K. Discover: A language expert identifies words characterizing each generation in American society. "In me the past lives" is the mantra of the distinguished, 350-year-old John Stone in British author Linda Buckley-Archer's (the Gideon Trilogy) expansive novel The Many Lives of John Stone. Seventeen-year-old Stella Park, or Spark, of modern-day Mansfield, England, is initially excited when John Stone offers her a summer job organizing his archives at the secluded Stowney House in Suffolk. Her enthusiasm quickly wears thin. Housekeeper Martha loves having the bright, curious Spark around, but she and Jacob, the cantankerous gardener, are clearly not used to outsiders. In a parallel narrative, a series of notebooks chronicle the coming-of-age of a 15-year-old named Jean-Pierre in Versailles in the 1680s. In the legendary court of the Sun King, Jean-Pierre is shocked to discover his true heritage: he is descended from a line known as sempervivens, people who age "exceptionally slowly," outliving their peers by centuries. Back at Stowney House, Spark becomes increasingly perplexed by the mysterious John Stone, but John fears that revealing his longevity, mankind's holy grail, may have devastating consequences. The question is, can he be himself if no one else truly knows him? Discover: In a novel that spans 17th-century Versailles and modern-day England, a British teen discovers her employer may be keeping a centuries-old secret. German author Cornelia Funke (Inkheart; The Thief Lord) brought madcap fantasy adventure to early readers with her illustrated chapter books Emma and the Blue Genie and The Pirate Pig. Ruffleclaw, a story about a furry red earth monster, is just as wild and woolly. Ruffleclaw's burrow is hidden under an old toolshed. His home "smelled of earthworms and millipedes" but it's cozy... the floor is covered in soft sweaters. The bright windows of the nearby human house attract him to it... and that "horridly wonderful jingly-music" the humans play (the mother of the family is a piano teacher) makes "his knees go all wobbly." He likes to break into their home at night with his monster claws, roll around on their carpets and peer into their "un-furry" faces while they're sleeping. He likes it so much, he decides to move in with them. When Tommy, the human boy of the house, wakes up to Ruffleclaw's close-proximity snoring, the story erupts into a chaotic, culture-colliding comedy in which Ruffleclaw spits on the wall ("Why? Where do you spit?" he asks calmly when told to stop), bites the radio ("That wasn't music," he growls) and eats an eraser. The gross-out factor is high here, but Ruffleclaw's true passion for the piano and the lonely Tommy's nearly inexplicable affection for the greedy, non-promise-keeping monster elevate the actually somewhat sweet story. Discover: In this illustrated chapter book by Cornelia Funke, a furry red earth monster desperately wants to live with humans, but he makes a very messy pet.